The Plantronics P361N-U10P has been discontinued. No direct replacement is available. 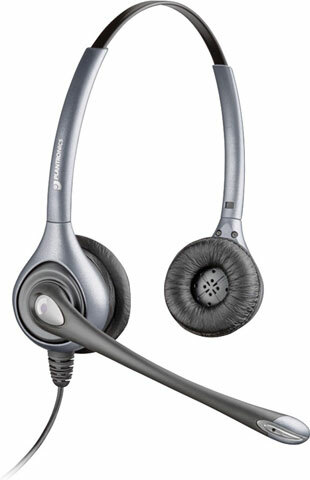 The Plantronics P361N-U10P brings new standards in all-day comfort and reliability to telephone professionals. Enhanced receive-side audio quality, intelligent flexible boom and stylish design provide greater headset flexibility. P361N-U10P offers monaural or binaural versions, voice tube or noise-canceling microphones and is compatible with Plantronics amplifiers and USB-to-headset adapters. SupraPlus polaris binaural over-the-head noice cancelling headset, features quick disconnect, includes two spare foam ear cushions and 2 ft. cable.